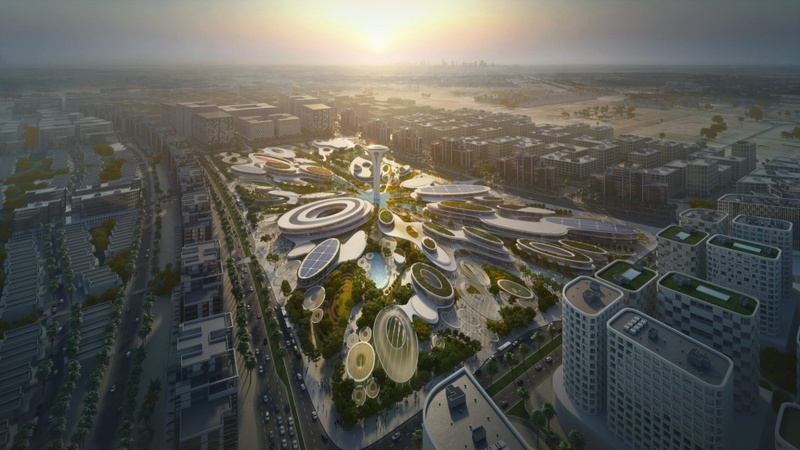 Following the international competition, ARADA has appointed Zaha Hadid Architects (ZHA) to design the Central Hub, the centrepiece of Aljada, the developer’s renowned masterplan in Sharjah, UAE. Developed with environmental considerations integrated throughout the master plan to minimise the consumption of resources, the proposal conceptualises the moment a water droplet strikes the earth’s surface, captured in an array of elliptical buildings designed to channel prevailing winds into civic spaces and courtyards to facilitate cooling during the summer months. The central observation tower is surrounded by vibrant public squares with water features irrigated by recovered and recycled water. Tensile canopies sustain a microclimate at ground level for verdant gardens of species native to the region. 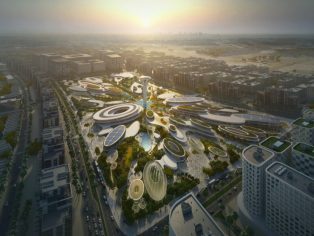 The heart of the AED24 billion Aljada mixed-use development, the 1.9 million square foot Central Hub will be a new focus for the UAE and a significant addition to Sharjah, regarded as the cultural capital of the Arab world. Aljada’s Central Hub will be a major destination for tourists and residents in its own right, offering world-class amenities complemented by community facilities as well as retail and dining experiences. In line with ARADA’s mission to build sustainable urban environments, the Central Hub’s design will incorporate the use of treated wastewater for irrigation, while the architecture will incorporate active and passive measures to lower the demand for indoor cooling. The first phase of the Central Hub will create a lively, family-friendly destination with a series of attractions and activities for residents of Sharjah to enjoy the Aljada site throughout the year; including an adventure activity zone, a food market showcasing home-grown delicacies and outdoor events spaces. Aljada was launched by HH Sheikh Dr Sultan bin Muhammad Al Qasimi, supreme council member and ruler of Sharjah in early September 2017. The 24 million sq. ft. project has become Sharjah’s fastest-selling residential community. Aljada is situated in the heart of Sharjah with exceptional connectivity to surrounding areas. The masterplan is designed with walkability and wide green spaces in mind, allowing residents, workers and visitors to live, work and play within a fully integrated and sustainable community.